Aralia racemosa. David G. Smith delawarewildflowers.org. (Accessed 3/2014). 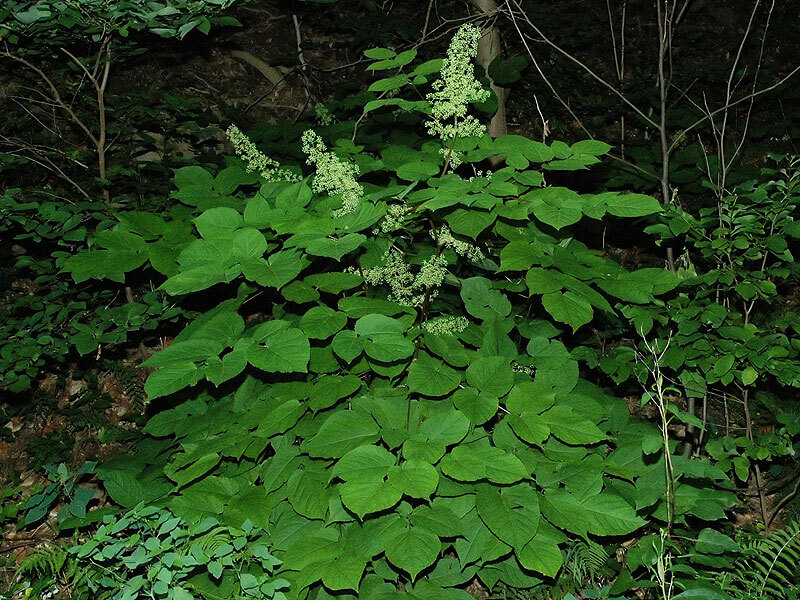 Aralia racemosa is a perennial herb, 0.5-2 m tall, stem stout, widely branched; colonial, roots large, spicy-aromatic. 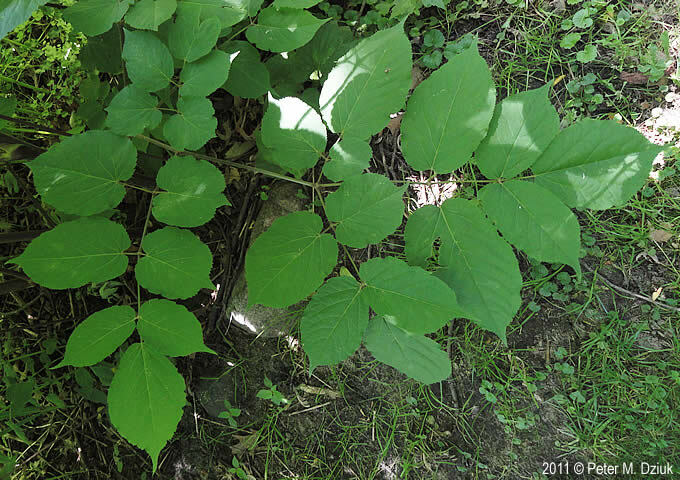 Leaves alternate, to 80 cm long, twice compound with three primary leaflets, blades of secondary leaflets to 15 cm long, variable on same leaf, slightly hairy, heart-shaped, tip pointed, base unequally lobed, margin sharply double toothed. 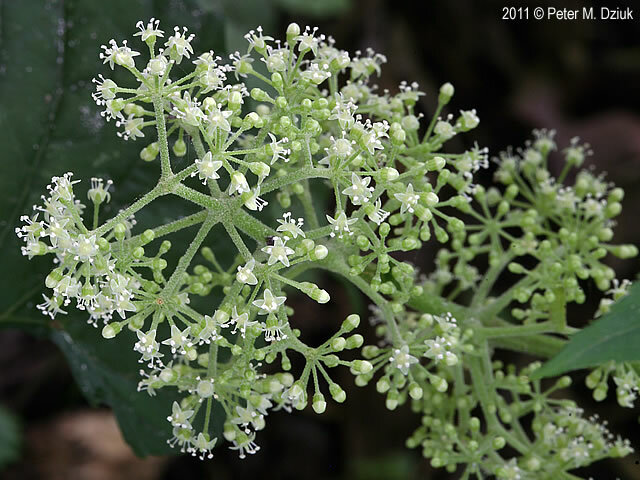 Flowers tiny, white, radially symmetrical, 5-parted, ovary inferior; inflorescence elongate, branched with flowers in numerous umbrella-shaped clusters; blooms June-Aug.
Aralia racemosa (spikenard). Louie Fiorino, Tecumseh Ontario, Canada. 7/2017. 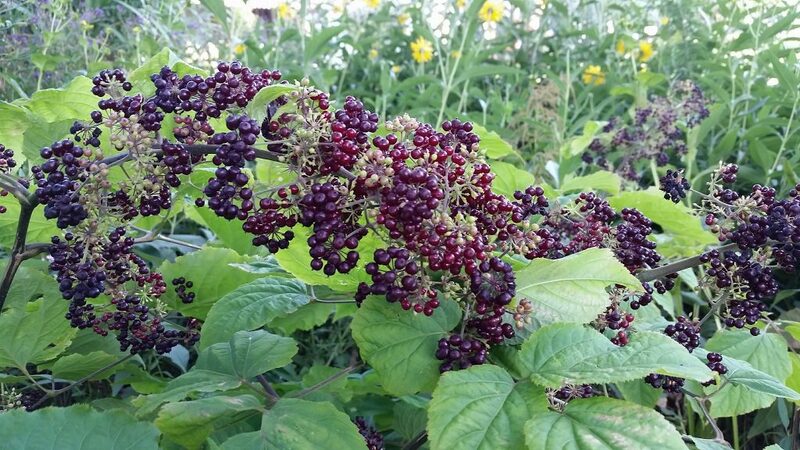 Fruit fleshy, dark purple; several-seeded; eaten by a few birds and mammals (Martin et al. 1951). Habitat: Undisturbed forest understories, moist to moderately dry soil.